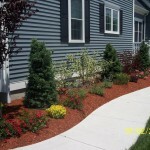 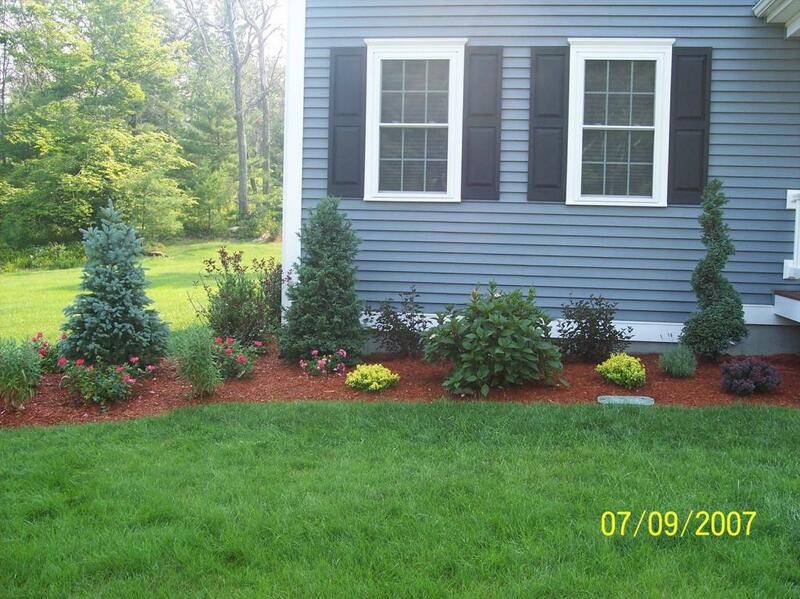 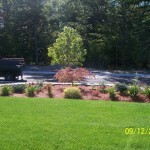 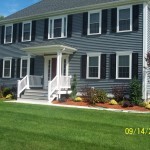 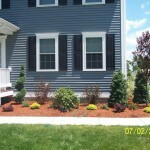 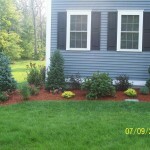 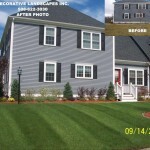 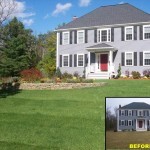 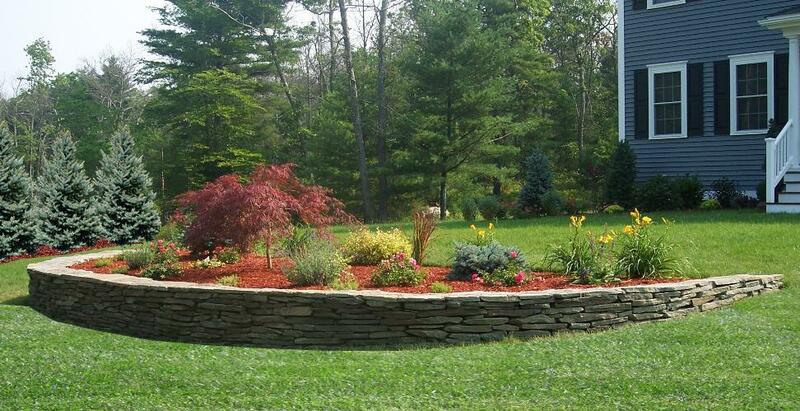 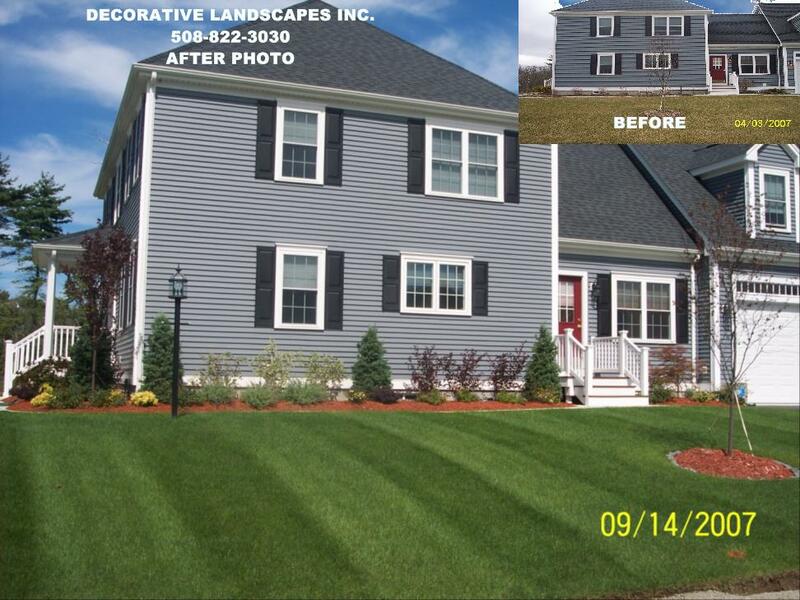 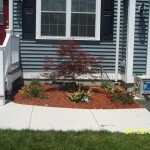 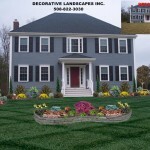 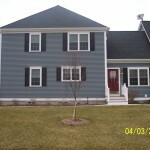 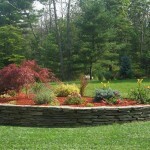 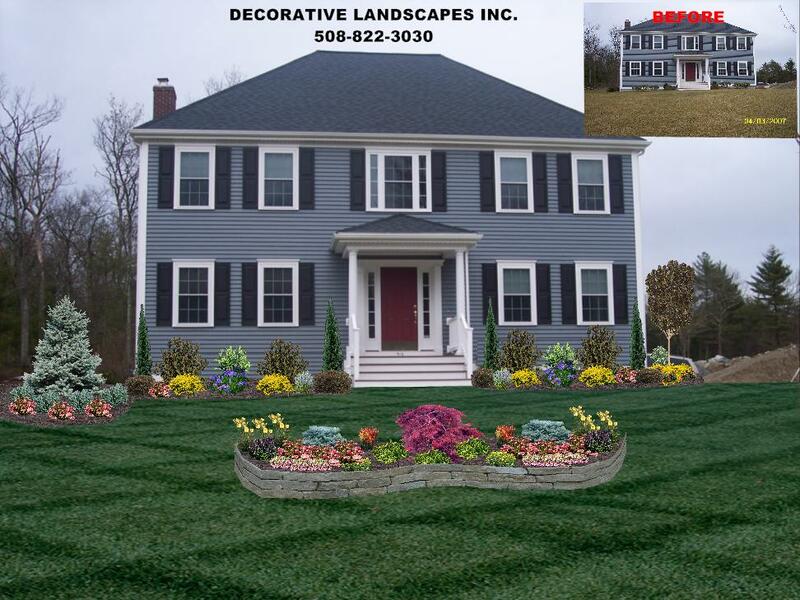 New Home Landscape Installation Project, Landscape Design MADecorative Landscapes Inc. 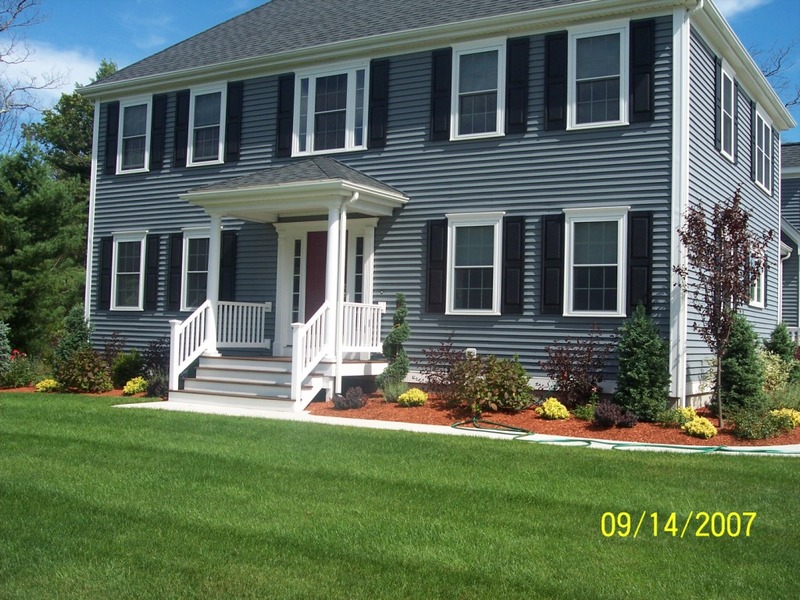 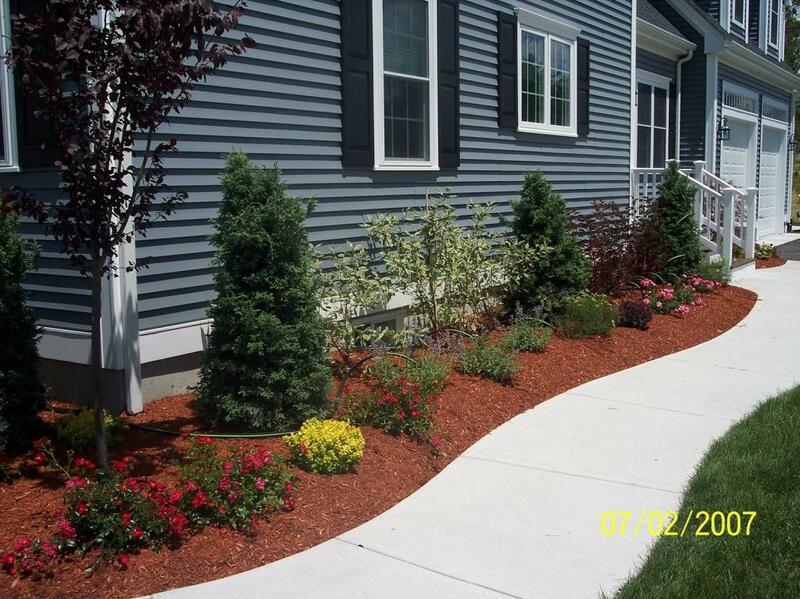 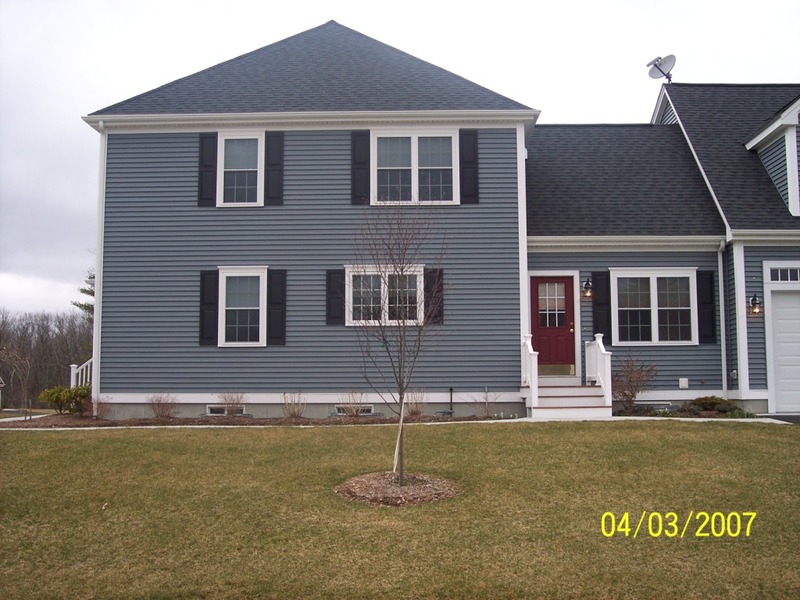 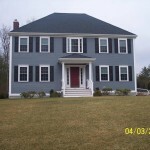 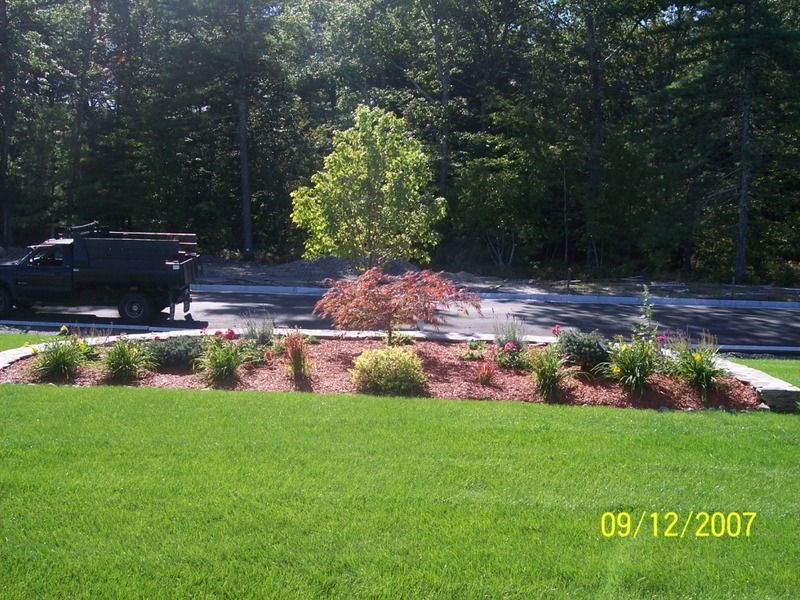 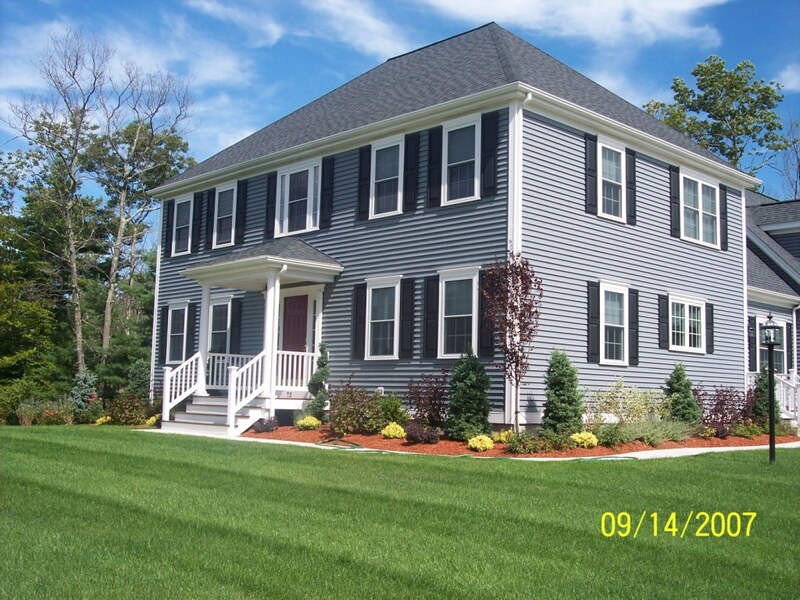 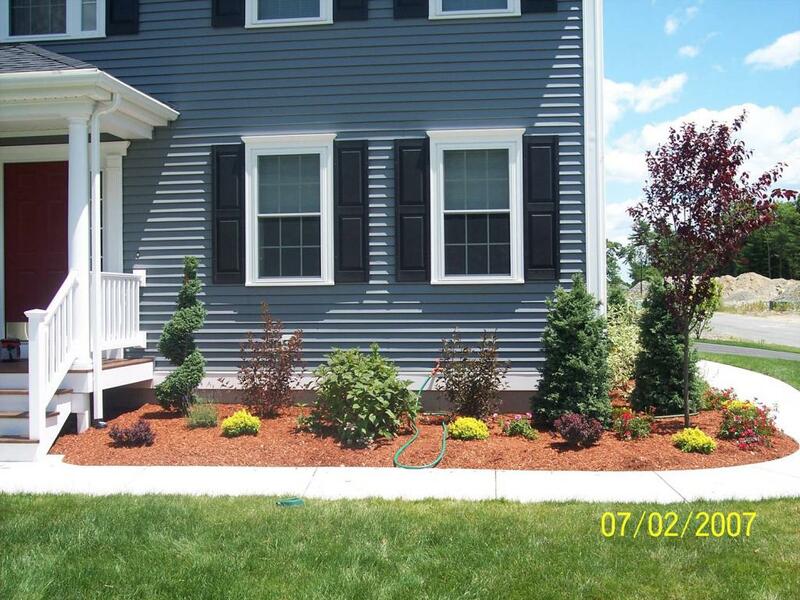 This project for a new home landscape installation entailed designing the planting beds in front of the home to replace the “builders plants” as well as a decorative retaining wall and planting bed in the front yard. 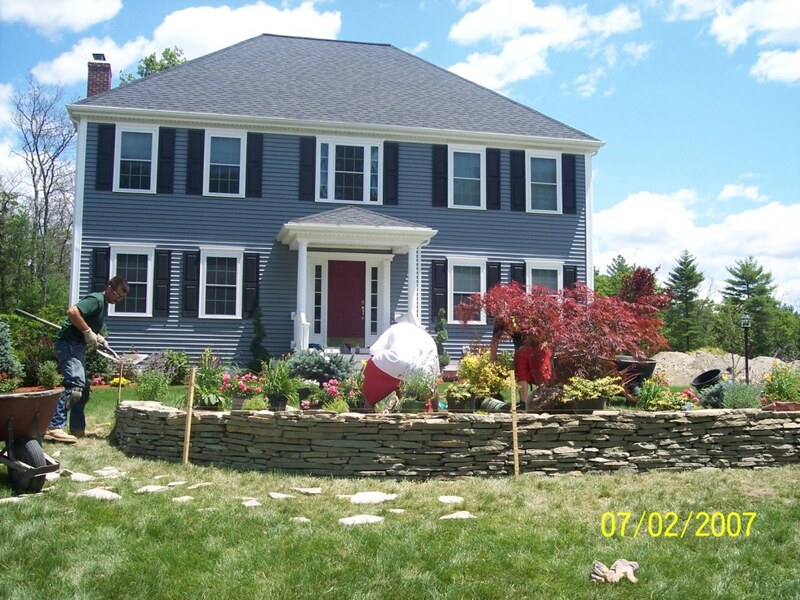 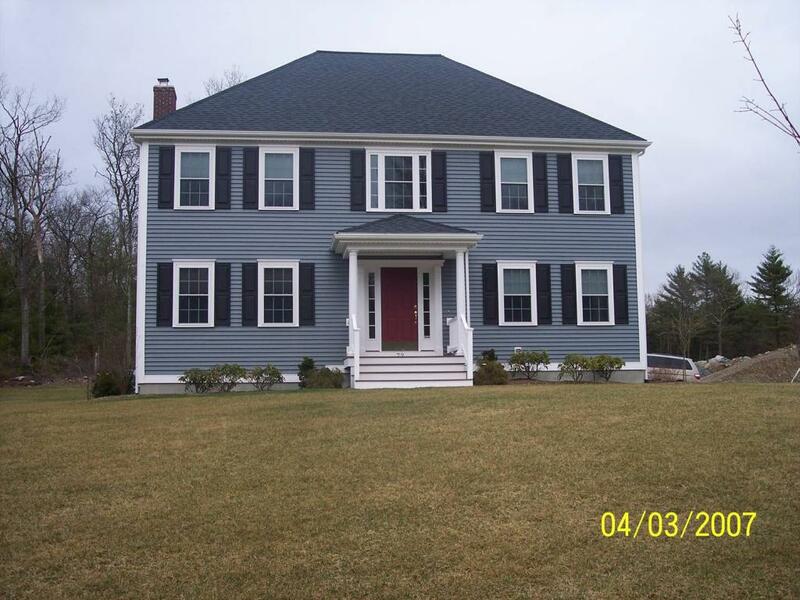 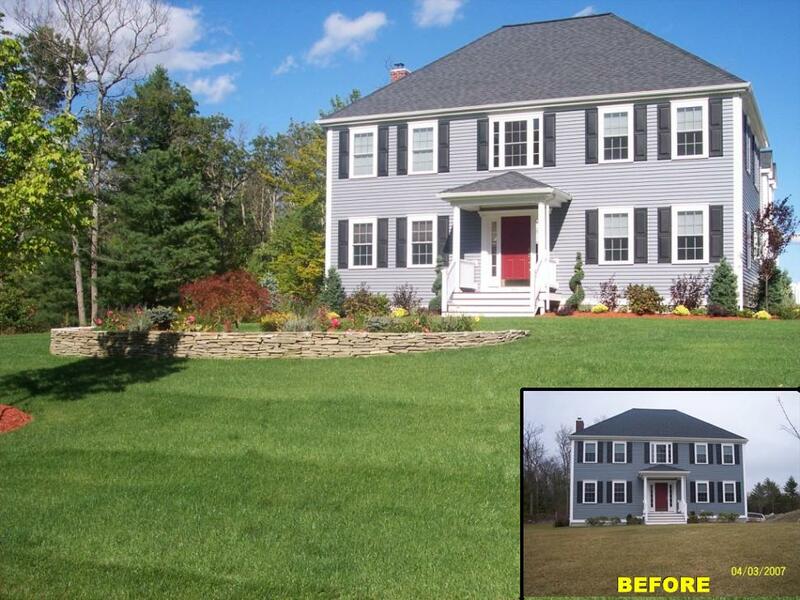 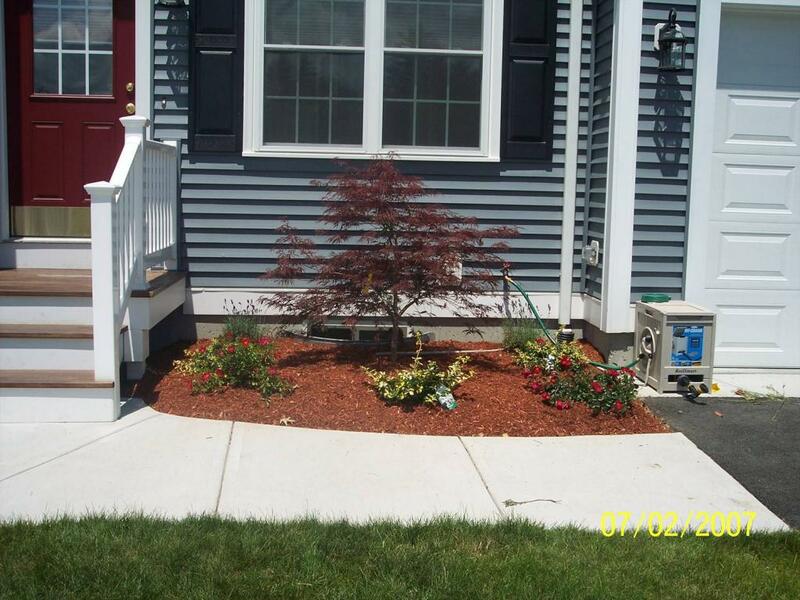 The original plants were removed and replanted in some cases around the yard, new plants were installed as per the design, a colonial stone retainer wall was built, back filled, loam and plants installed and mulch was installed to finish the project.